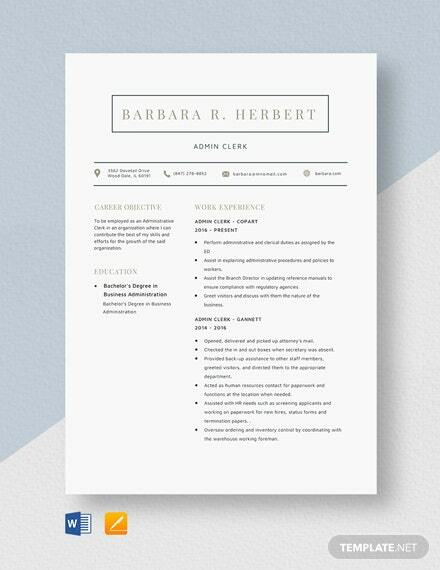 Looking for a simple yet tasteful resume? 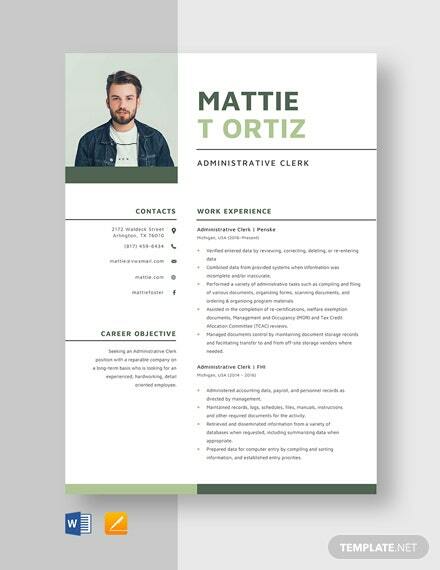 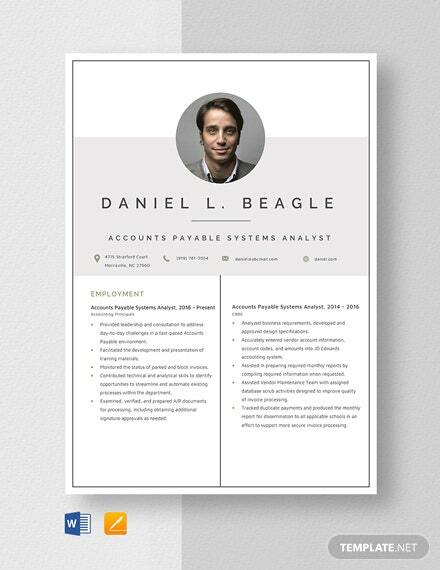 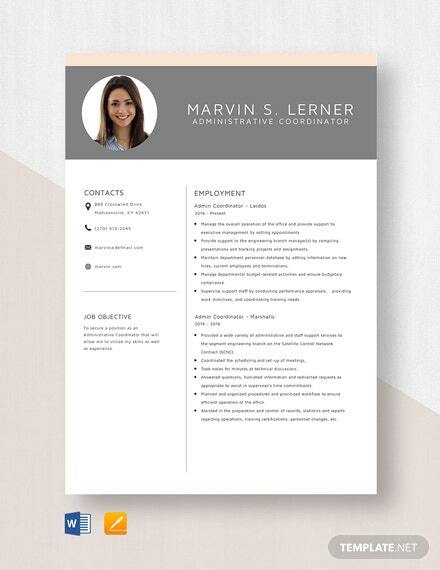 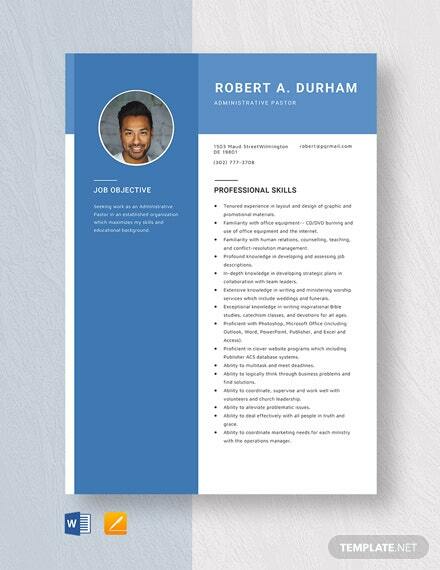 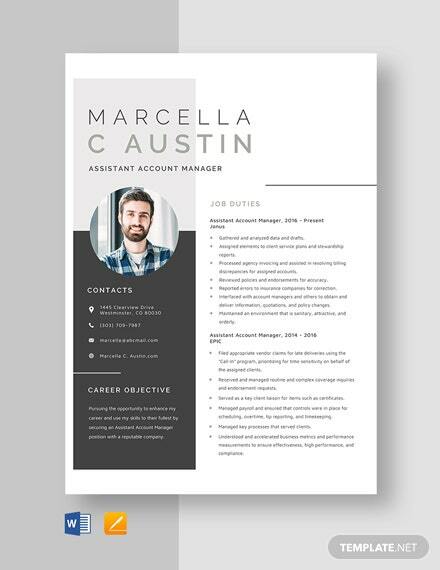 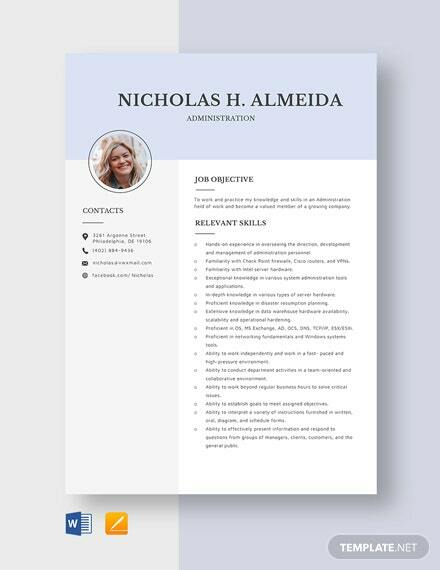 Get your hands on this Administration Resume Template today! 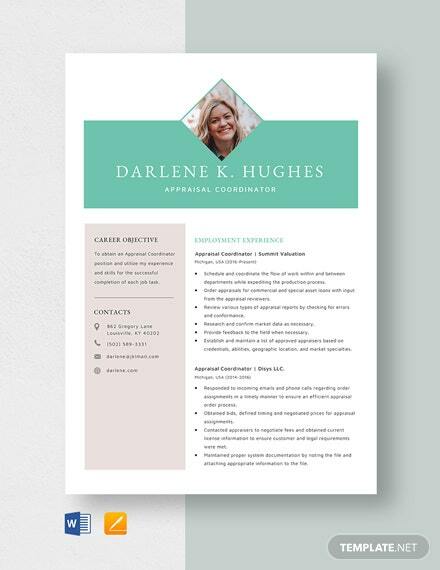 This is a breeze to edit and it?s stunning enough to catch the eye of busy employment +More recruiters who look through a stack of resumes every day! 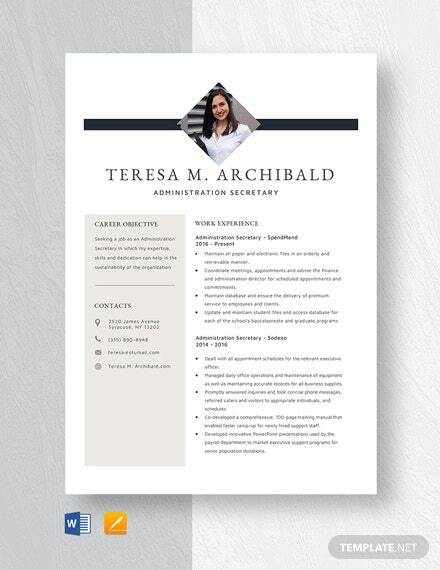 It is also print and digital ready so you can access it anytime and anywhere! 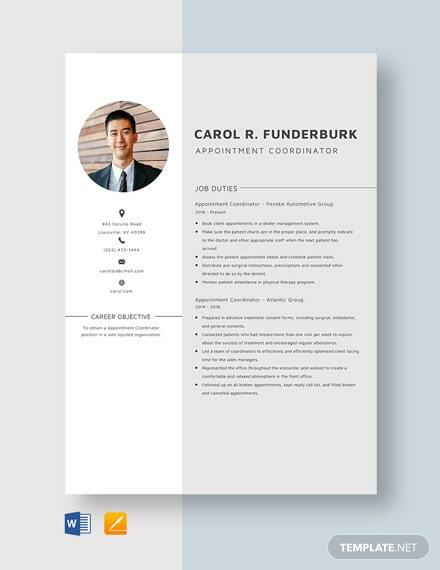 Take note that it makes use of premium quality layout which you can personalize according to your preference. 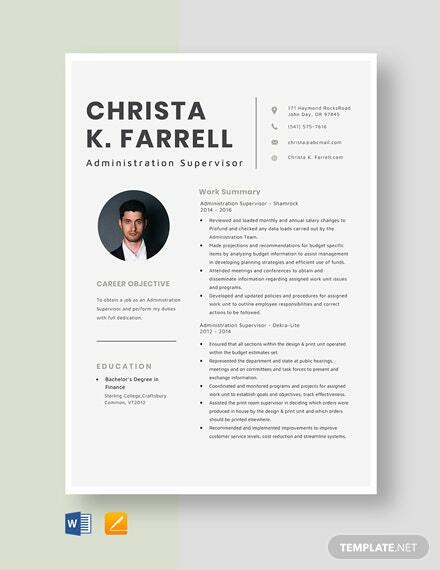 Available in all versions of MS Word and Apple Pages, get it today!